Systemair designed and developed a high-performance fan and wrapped it in an acoustic enclosure to create a truly silent revolution. The white acoustic foam is specially designed to absorb noise without restricting air flow. The foam is certified for use in air acoustics applications and does not absorb moisture or dust. The revolution of the high performance fan with Stratos. 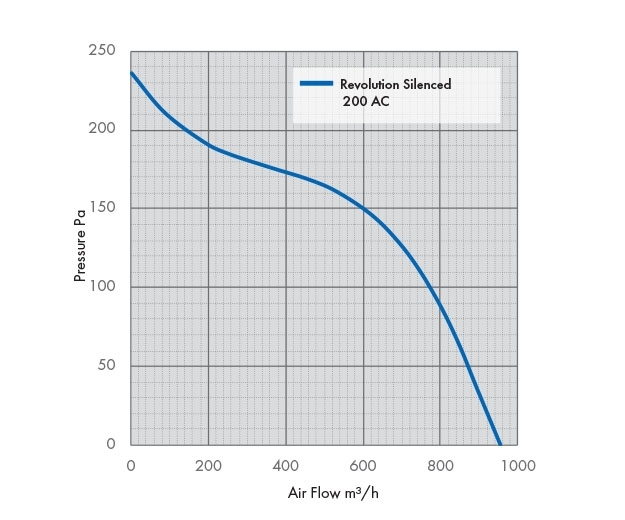 Systemair has partnered with GlobalAir Supplies to design and develop a high-performance fan: the Stratos Revolution. The airflow is increased by aerodynamically optimized turbines and guided wings. Indeed, a new design optimized turbine makes it possible to diffuse the air more efficiently, directing it in a perfectly straight way. The Stratos fan can be installed in any position with the mounting bracket.